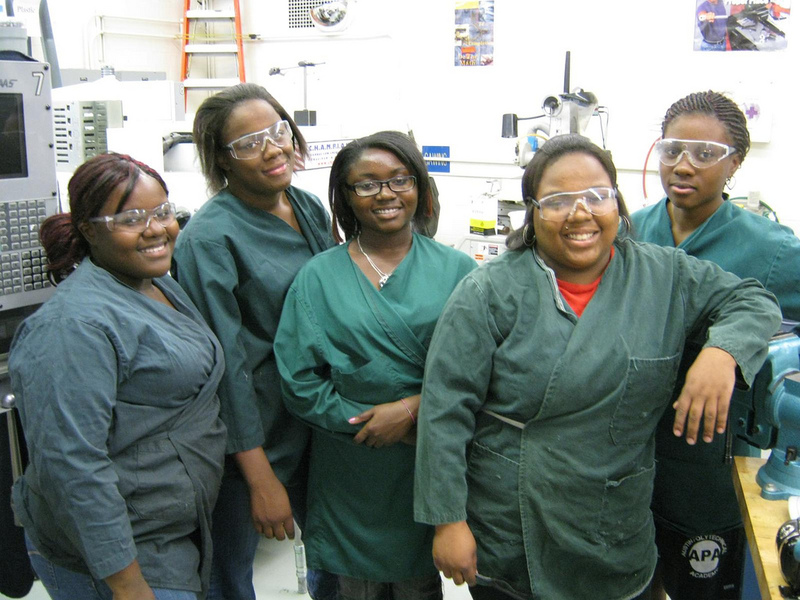 and civil society with the goal to educate this generation of inner city high school students at Chicago’s Austin Polytechnical High School to heal their communities as the next generation of advanced manufacturing leaders. Educating the next generation of advanced manufacturing leaders at Austin Polytechnical Academy. After bearing witness over the past three decades to a relentless stream of plant closings, jobs off shored, and communities devastated by industrial accidents, it is little wonder that Americans are likely to describe what they once considered their vibrant domestic manufacturing economy in three words: dirty, dangerous, and dead-ended. Over those same decades Dan Swinney has been studying the root causes of manufacturing’s fall from grace at the Center for Labor and Community Research. What he began to chronicle, beyond the obvious globalization pressures, was the untold story of otherwise healthy, small- to medium-sized private companies that had failed to effectively plan for either management or ownership succession, and as a result had no alternative but to sell out to Wall Street LBO engineers and industrial consolidators who had no commitment to the long-term stewardship of their businesses. Equally troubling was what they uncovered of the public sector’s (and in particular, public education’s) failure to respond to the changing nature and requirements of American manufacturing. At the same time Swinney has been attempting to frame a discussion around the regenerative role manufacturing can and must play in a new industrial age. The initiative that grew out of CLCR, the Manufacturing Renaissance and its Polytechnic Career Program now incubating at Austin Polytechnical Academy in inner city Chicago, is scaling up into a national effort. Download the iBook, now readable on Mac OS Maverick as well as iPad.